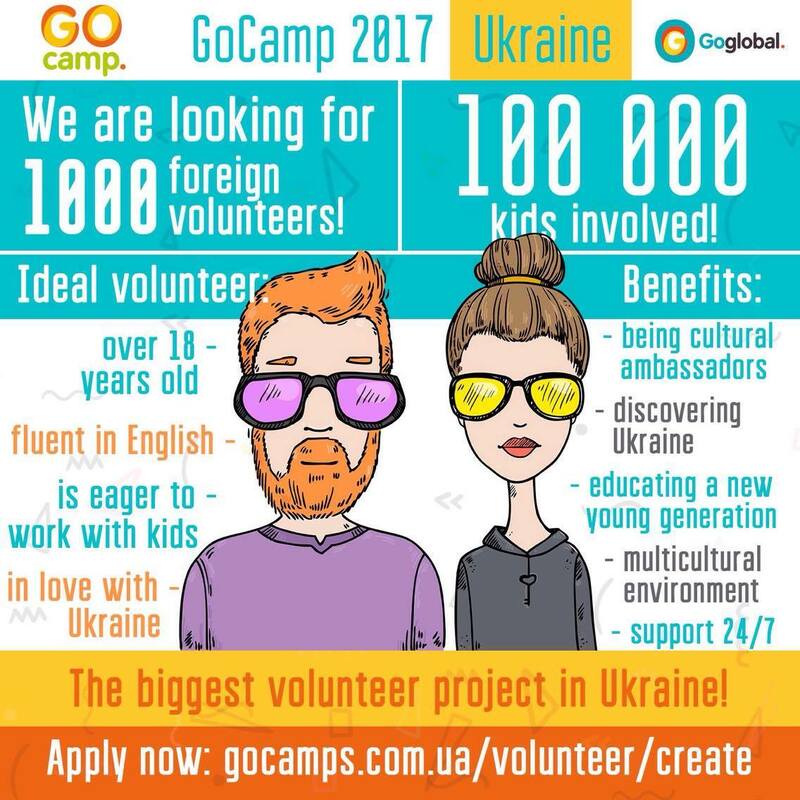 Ukraine is calling for international volunteers! Do you have or would like to get volunteer experience? Ukraine is calling for you to participate in a new wave of English summer camps for children in 2017, including those affected by the armed conflict in Eastern Ukraine. We are looking for English-speaking volunteers who would come to Ukraine and interact with the children in English, get great time, new friends and unforgettable experience! As a volunteer you will get special training and opportunity to share experience in the following spheres: STEAM (Science, Technology, Engineering, Art, Mathematics), Leadership and Career, Citizenship, Sports&Health! Consider this great opportunity to volunteer abroad and discover beautiful Ukraine! Ukraine is calling for you! Let’s change our future together and make children`s dreams come true!